It has been a wild few days here with heavy rain and winds. Not complaining, California always needs it! But we have two very unhappy chihuahuas who refuse to go outside. Even our covered porch is a wind tunnel that Miko refuses. 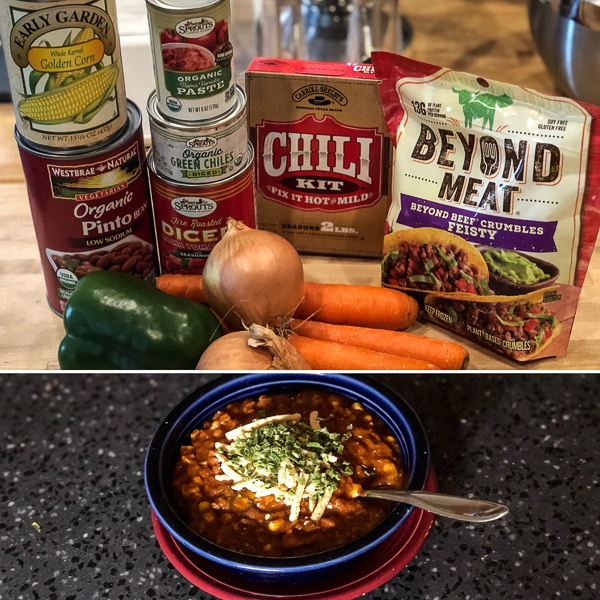 Crazy winter weather calls for steaming bowls of chili and hubby is amazing at whipping up huge batches of vegan chili in the Instant Pot using Beyond Meat Beyond Beef Crumbles. And we got lots of leftovers for easy lunches this week, love that. 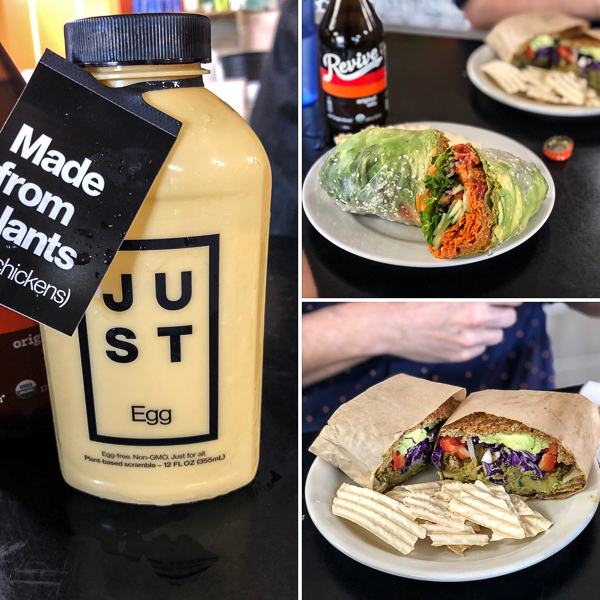 Sunday we headed to Zest Kitchen for a healthy lunch and ended up coming home with a container of Just Egg! 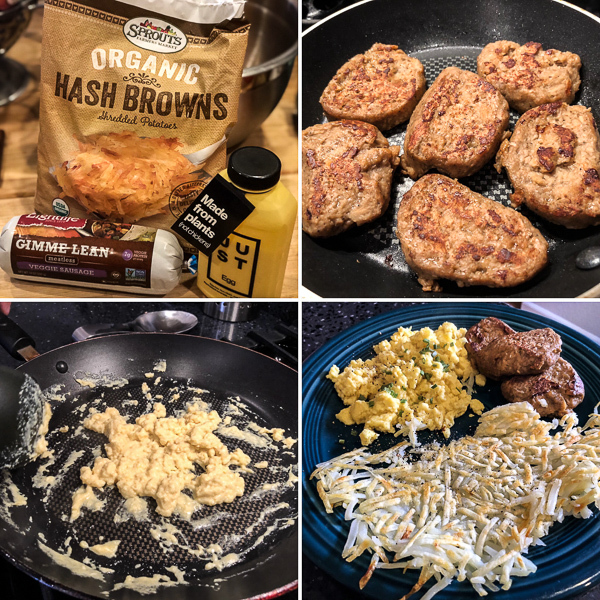 It’s not cheap at $7.99 per container, but I was so excited to see it for sale I grabbed one and it inspired a fun breakfast-for-dinner Monday using hash browns, Lightlife Gimme Lean (love that name) vegan sausage, and scrambled Just Egg. It was a splurge dinner for sure, but fun for the dreary weather. Hubby really liked the Just Egg, the closest vegan alternative to scrambled eggs for him and very impressive. And it was easy to cook. For me it was good, but not mind blowing because I was never a huge scrambled egg fan in my pre-vegan days and am happy with a simple tofu of chickpea scramble today. But it’s a healthier and convincing alternative and I’m excited there are more products like this showing up with such a demand. Back to healthier habits, I made a new dressing for a kale meal salad tonight that came out great. 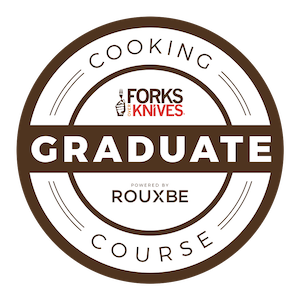 It uses peanut powder instead of peanut butter, has no added oil, and packs raw garlic and ginger for a lively flavor kick. The texture is not as thick as some of my other dressings, but that worked well for the massaged kale and still coated well with kicky flavor. Everything looks amazing – as always – but there is something about that chili that is really calling my name! Thanks and yes, chili is such a perfect winter meal! I was never a big beef eater before going vegan, but I must admit, I do love those Beyond Meat crumbles! Yum! Yes they are and great in chili! 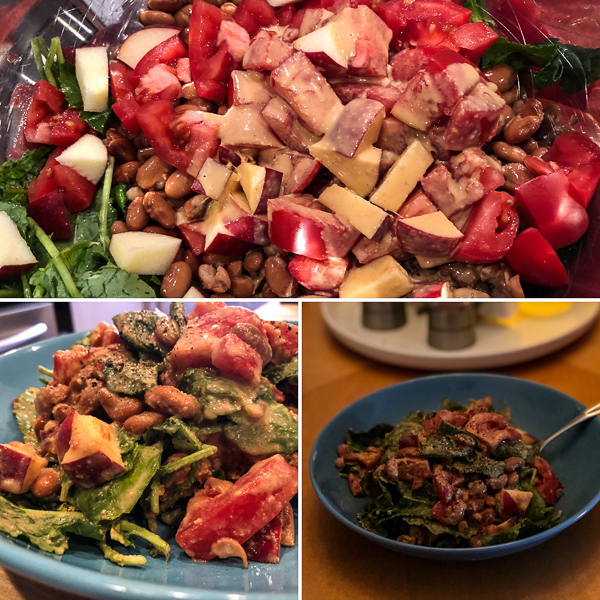 That ginger peanut dressing looks fabulous Christine! So does your chili. I make the worst chili, no lie! haha.